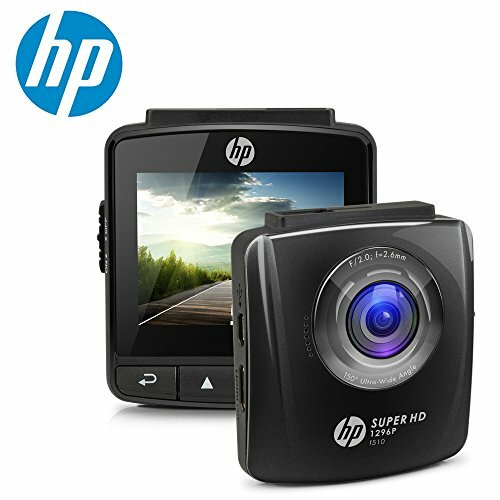 【2K Extreme HD】 Super HD 1296P professional lens provides great sharp video quality and super night vision, clearly captures the license plates as well as road signs during the day and night, let you have a safe and wonderful driving journey. 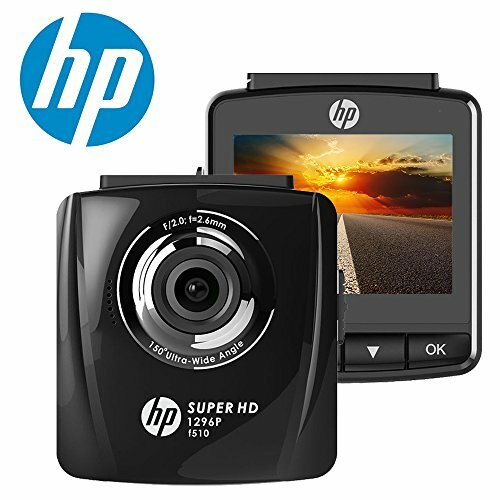 【Unobtrusive and Small Size】 HP f510 dash cam with compact and minimalist design, fits for all kind of cars perfectly, and does not affect the sight of the driver. 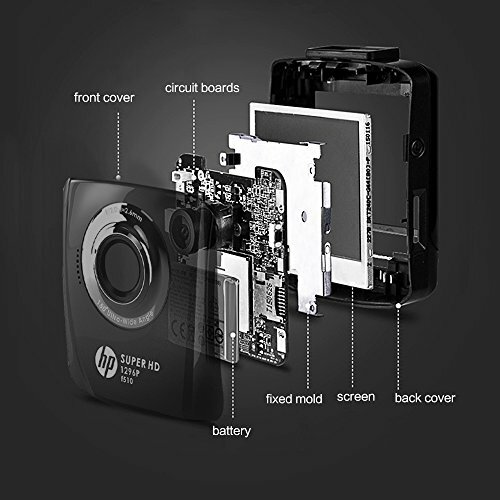 Special HP security card slot switch design, making sure the memory card does not fall, to guarantee the file is completely saved if you car gets collision. 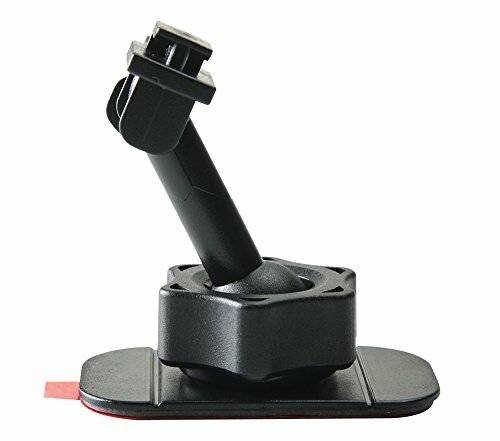 【Easy installation】 You can use our readily adjustable sucker bracket. You also have a choice of our stable 3M adhesive sticker bracket which is easy to install – it will never fall down from the windshield even under strong sunlight. 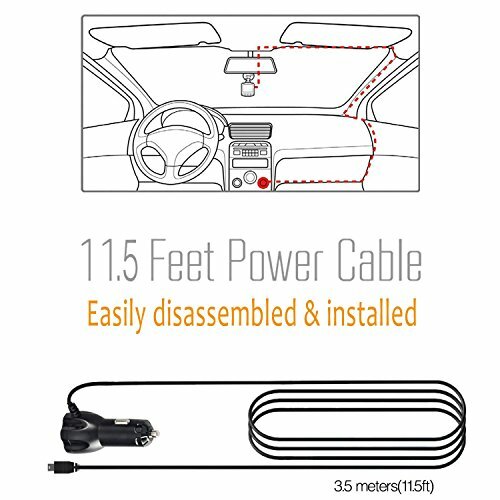 It comes with a 3.5meters (11.5ft) car charger which is compatible with most cars. 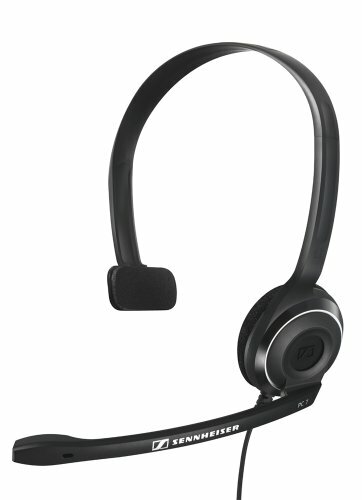 HP’s customer satisfaction is paramount to us. The HP F510 comes with a solid 24 months warranty, 60 days guarantee for any returned goods,and also with a lifetime support in Europe. 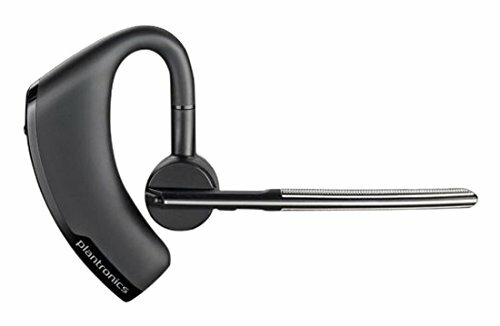 Its 150 degree wide view angle camera lens ensures you a more complete viewing and recording. 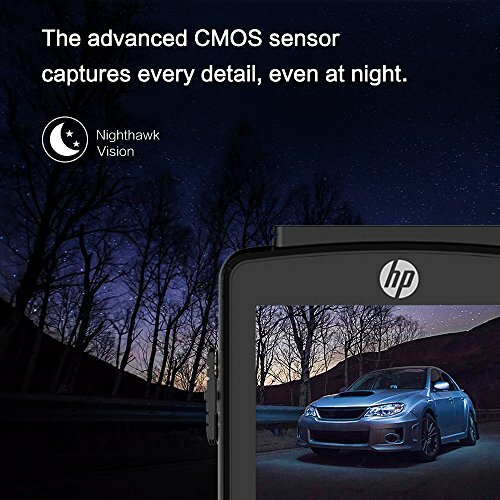 With HDR system, automatically balance the light and dark areas of the video and generate high-quality images, makes your driving more safer at night. Parking Guard Feature, the device is automatically turned on and recording when a collision or crash is detected, it helps to monitor any accident to save your car. When the vehicle is deviated from the original track, the system quickly detect and judge, and issued a warning sound. 3. SD card is not provided in the package. 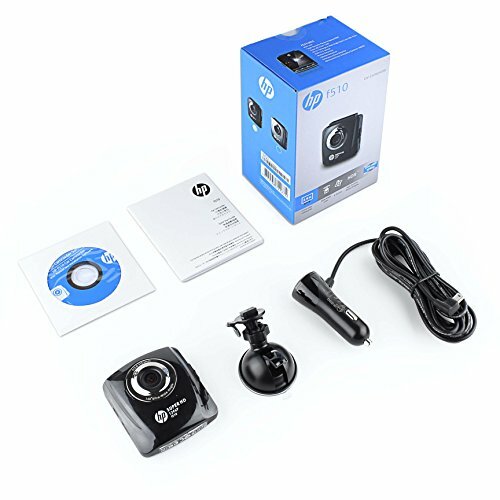 【Loop Recording】The dash cam records seamless video clips automatically. Once the memory card is full, it overwrites the oldest unlocked video clips in order to keep uninterrupted monitoring for you. 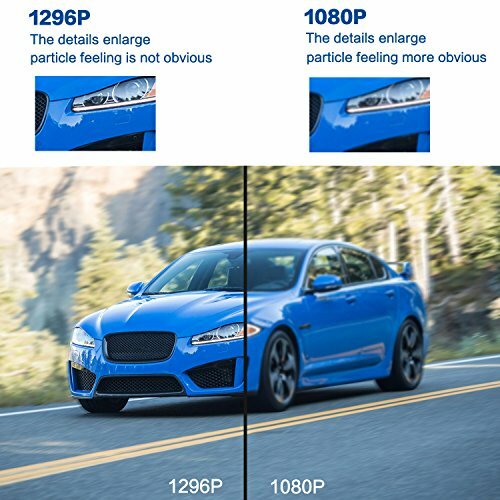 The length of each video clip can be set to 3, 5 minutes, allowing a safer driving experience. 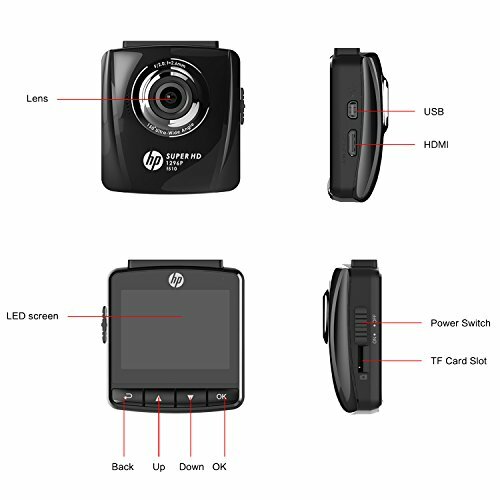 【Customer Service】Comes with 60 days money back guarantee and 24 months warranty to cover any hardware issues with your dash cam. 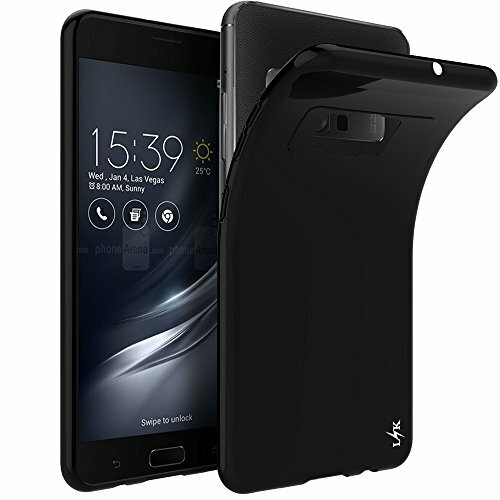 We offer a first class support service to all our customers. All emails will be responded to within 24 hours and our aim is to guarantee 100% customer satisfaction.